As I combed through the questions, I realized there was a common theme. A lot of the questions focused on the one thing to do, or the one tactic to use to get the best return on investment (ROI). That is the #1 question on business owners’ minds, whether they are just starting out or are already running a business. So chances are very good, you would also like to know the answer to this question. I’ll give you a hint. The answer is not “it depends,” and the answer is the same for B2B and B2C businesses across every single industry. The answer is that one tactic alone will never get the highest ROI. I’m sorry, but it’s not that easy. There’s no silver bullet. Hey, look on the bright side, at least now you won’t waste any more time and energy searching for something that doesn’t exist. First, I need to address why one tactic would never be enough for any type of business. I’ll use search engine optimization (SEO) as an example since that’s typically the tactic people think of when talking about online marketing. 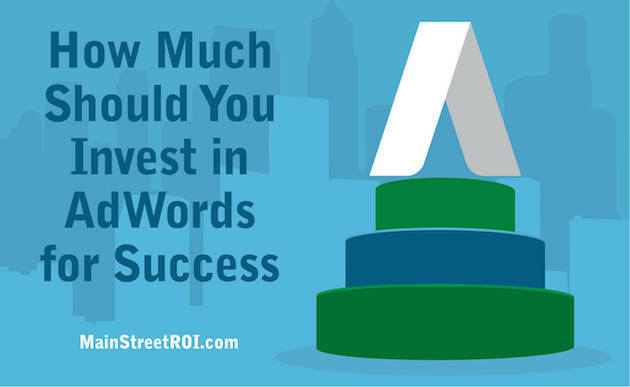 Could SEO alone ever give you the highest ROI? The answer is no. And the reason is that SEO is simply a traffic tactic. By optimizing your website to rank for relevant keywords, you will drive prospects to your website. That’s great, but then what? If all you did was focus on SEO, then you could end up with a lot of website traffic, but little to no sales. That’s because you would be missing website conversion tactics! The reality is that traffic does not equal sales. As you’ll see in a minute, driving traffic to your website is actually only one third (33%) of the equation. So any traffic strategy like SEO, Google Ads, Facebook Ads, social media, publicity, or referral partnerships will never be enough. Memorize that equation because it will guide your online marketing plan. To generate the highest ROI, you need to drive traffic to your website, then convert the traffic into sales, and continue to maximize your customer value over time. And the only way to continually improve your online marketing is if you’ve got proper tracking and analytics. In other words, you need 4 tactics, not just one. One is not just the loneliest number, it’s also the riskiest. If you’re currently relying on just one source of website traffic like SEO or advertising, then you’re extremely vulnerable. Whenever Google updates its algorithm, some businesses always go belly up because all their eggs were in the SEO basket — they didn’t diversify their traffic sources. Don’t let that happen to you! If you’re currently looking for the ONE best traffic source, you’re on the wrong track! Let’s say your goal is to generate 1 sale per day (30 per month). One strategy would be to find 1 traffic source that can deliver 30 sales per month. Another option would be to have 30 different traffic sources that can each deliver 1 sale per month. Well, I would choose the 30 traffic sources every time. This diversified approach makes your business so much more stable. If one tactic dries up, then you have 29 others to pick up the slack. Hi Elias – You’re welcome! Enjoy the holidays and have a great new year!